Chartiers Park has two pavilions, picnic tables, playground and walking trail (ADA compliant) and horseshoe pits. You can rent the Pavilions at Chartiers Park. 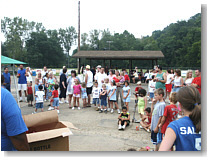 Bridgeville parks are home to the Bridgeville Athletic Association and Chartiers Park is home to the Beadling Soccer Club and the location for Bridgeville’s Summer Recreation Program. Cook School Park has one pavilion, picnic tables and a playground. You can rent the Pavilion at Cook School Park for a special family or company outing. Or, just come out and spend an afternoon picnicking and enjoying your community parks. McLaughlin Run Park has one pavilion, picnic tables, playground, skateboard ramp, volleyball court and horseshoe pits. You can rent the Pavilion at McLaughlin Park. Triangle Park has a gazebo in the park suitable for wedding photography or a picnic. 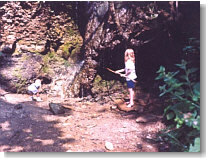 It is often the location or meeting place for community activities. It’s picturesque and reflective of Bridgeville history — adjacent to the Caboose. You can rent the “Gazebo in the Park” for a special event. A permit is available at the Municipal Office. 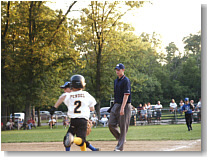 Park Permits for Field & Shelter Rentals are available at the Municipal Office.